Welcome to the perfect Kings Beach accommodation. 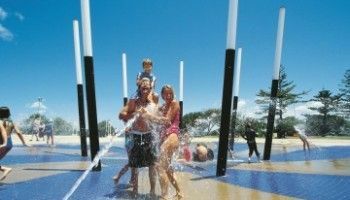 Just a couple of minutes away from the Kings or Shelley Beach, Burgess at Kings Beach can be found in Caloundra. 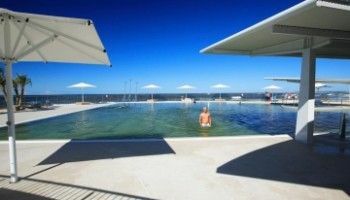 It’s one of the Sunshine Coast’s best kept secrets, a holidaymakers luxury getaway. Choose from our extra large sized two and three bedroom apartments. 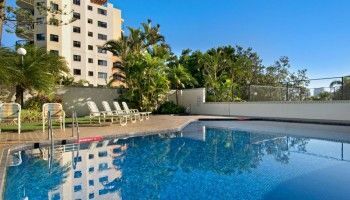 We have space to move and views to match, with spectacular views over Kings Beach, Shelly Beach and all along the coast to Point Cartwright on a good day. Some rooms also take in views of the remarkable Glasshouse Mountains. 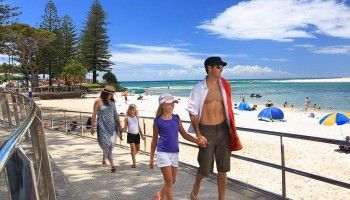 Caloundra contains a canny mix of urban smarts and beachside cool. 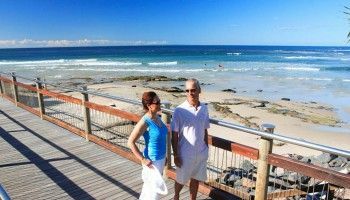 The boardwalk along the Esplanade is just one of the highlights to look forward to, unless of course you prefer to enjoy foreshore parklands and kids playgrounds, then the boardwalk is a mere throughfare on the way to more exciting things. 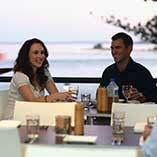 The Caloundra CBD is not far away either, if you like mixing business with pleasure. 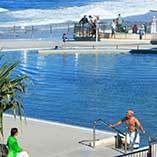 But you’ll find a really good concentration of restaurants residing in the business end of town with a few highlights dotted around the Esplanade, Golden and Moffatt Beach. 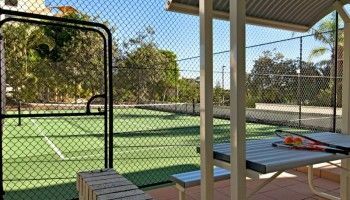 However it’s not just beaches, parks and restaurants that Caloundra is notable for. 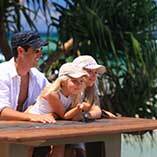 Australia Zoo is by far the biggest attraction for families coming to Caloundra. Just under a half hour car ride to Beerwah, this is the quintessential family trip of a lifetime. Billed as “The Ultimate Wildlife Adventure” Australia Zoo is the biggest and best wildlife conservation facility in the entire world — an animal experience that is unique and unlike any other in the world, delivering conservation “through exciting education.” Australia Zoo is so vast that visitors often split their trips to the zoo, just to take in the full range of animal encounters and activities. You can easily spend 2 days to enjoy this must see while you stay at Burgess Kings Beach. Not only is Burgess@Kings Beach the perfect Kings Beach accommodation but it’s also the perfect accommodation from which to experience Australia Zoo. Don’t miss it. Book now.